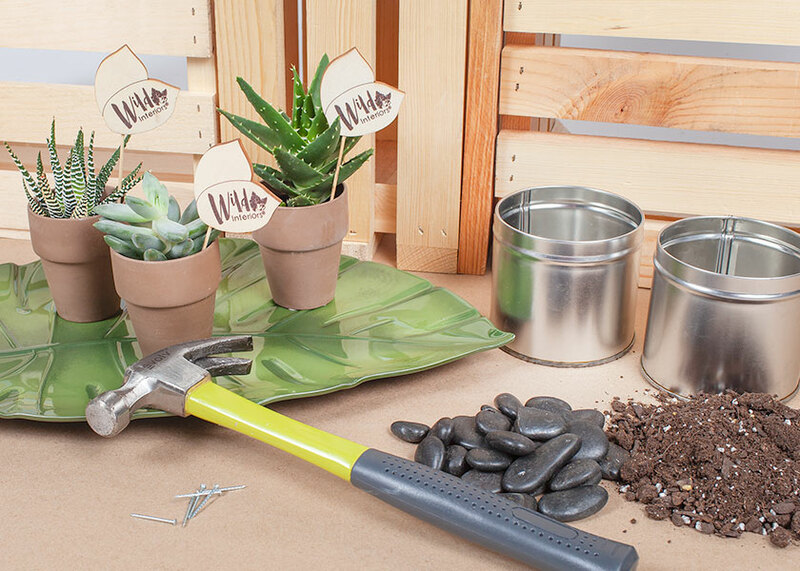 We’re serving up a how-to guide on creating a DIY mini succulent planter with an upcycled twist - old tea tins! You could also use aluminum cans or terracotta pots with drainage holes. We’ll include an option for containers you can’t poke holes in too. This planter arrangement allows you to give your Wild Interiors mini succulents room to grow bigger and stronger. You’ll want to repot your plants when they get root bound or the leaves seem to be overgrowing the pot. 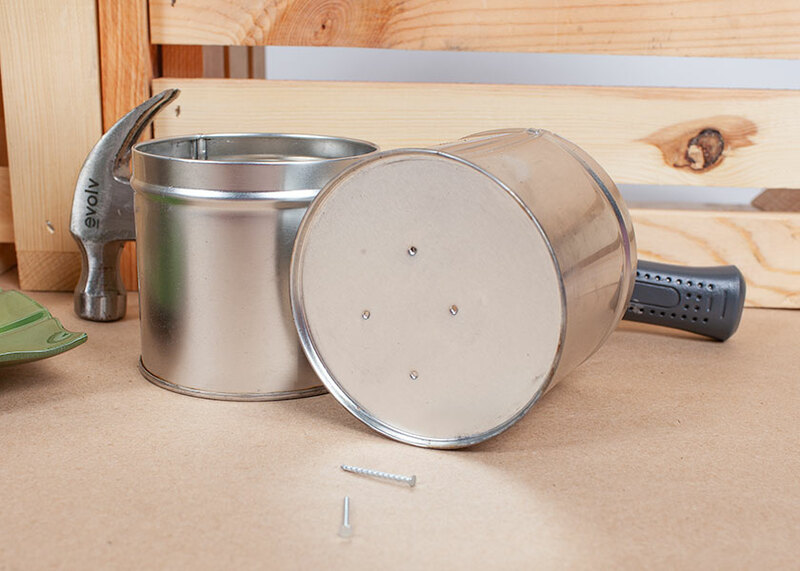 Poke some drainage holes into your tins by using the hammer and nail. This will allow excess water to pass through and prevent your roots from getting damaged by overwatering (root rot). Put some cactus potting soil in the tins, about halfway full. Place your plants into the tins. You may need to break up the soil around their roots to fit them into your tins comfortably. Fill your tin the rest of the way with more potting soil, leaving about ¼” to ½” of space between the top of the soil and the top of the tin. Repeat the potting process for each succulent. Create a pebble tray to catch the drainage from your planters. Spread a layer of pebbles, aquarium gravel, marbles, or whatever else suits your fancy in a shallow dish like a pie plate, tray, or other container that will fit all of your tins. Arrange the tins among the pebbles. Place in a sunny spot in your home and enjoy! If you want to use a container you can’t poke drainage holes in, like mason jars, coffee mugs, or something similar, you’ll need to provide internal drainage. Use the following method instead of Step One above. Place a ½” to 1” layer of pebbles in the bottom of the container. This is where excess water will drain. On top of the rocks, place a ½” to 1” layer of perlite. Perlite is porous and will wick the water in both directions; away from the soil when there’s excess water, and back up to the roots when the soil is dry. Then go back to Step Two and plant your herbs in your containers. Remember that succulents are desert-dwelling plants, so they don’t like excess moisture and humidity. Let them dry out completely between waterings. You can read more about succulent care here. Show us your DIY project on Instagram when you tag @wild_interiors!